A Karaite prayer: Little-known Jewish community builds center to tell its story – J.
B’nai Israel is the only Karaite synagogue in North America, serving the diaspora’s largest Karaite community — about 800 members live within driving distance of the synagogue. Karaite Jews differ from Rabbanite Jews (as Karaites call the majority of Jews who follow rabbinic tradition) in that they rely on what is written in the Torah without turning to the oral law — the Talmud and rabbinic authority — to interpret it for them. The two communities coexisted until the 10th century, when foundational Jewish (Rabbanite) leader and thinker Saadia Gaon denounced Karaites as apostates and sought to exclude them from the Jewish community. Relationships between these two Jewish communities have varied across time and place, but that initial antagonism has long colored the relationship. 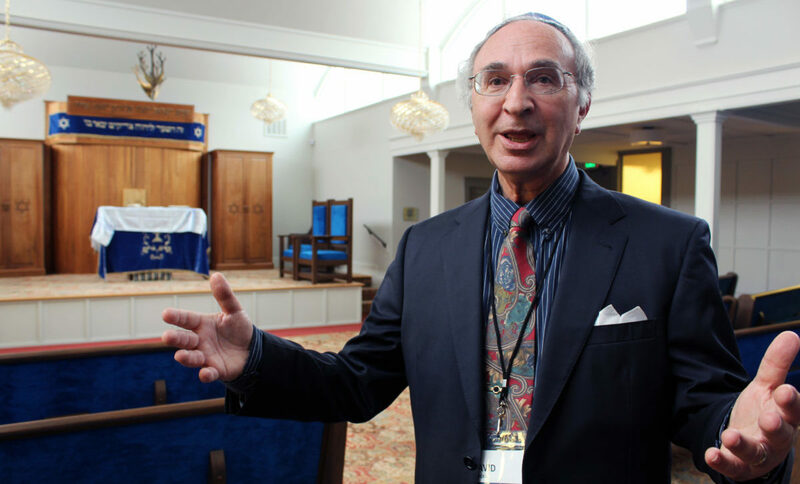 In the Bay Area, where few Rabbanite Jews are aware of Karaite Judaism, that relationship is cordial, though not always close on an institutional level. But on a personal level, many Karaite Jews are involved with the wider Bay Area Jewish community. Many have had bar and bat mitzvahs in Rabbanite synagogues. In the Karaite view of kashrut, one may mix meat and dairy products that come from different animals, and each community — and individual — has autonomy to decide how strict or lax to be. On the other hand, Karaites do not accept rabbinic loopholes that ease the restrictions of Shabbat. Karaite Jews have embraced some Rabbanite traditions, such as b’nai mitzvah, while rejecting others, such as celebrating Hanukkah. The Torah directs Jews to include in tzitzit a strand of techelet, which rabbinic sources have interpreted as a reference to a specific deep blue dye. Karaites take techelet to mean any kind of lighter, sky-blue dye, which gives their tallits a distinctive look — and informed the name of A Blue Thread, a long-running blog on Karaite Judaism. In the B’nai Israel sanctuary, most women sit off to one side, though there is no mechitza to separate them formally from the men. As each Karaite community is empowered to set its own standards, American mores rubbed off on this community, and some women now prefer to sit in the main area. Today there are an estimated 30,000 Karaite Jews in Israel, 1,500 in the United States, and small communities in places like France, England, Turkey and Russia. But until the mid-20th century, many lived in Arab lands. For centuries, one of the most prominent Karaite communities in the world was in Cairo, where the first Bay Area Karaites came from. Cairo once had a Karaite quarter of about 5,000 people adjacent to the mainstream Jewish quarter. Relations between Karaite and Rabbanite Jews in Cairo were close; the Cairo Genizah, a vast store of Jewish writings discovered in a Rabbanite synagogue in Cairo in the 19th century, included a number of Karaite documents. In what Karaites sometimes call “the second exodus,” they left Egypt en masse during the last century, beginning when Israel became a state in 1948. More left after the 1956 Sinai War. During the 1967 Six-Day War, all Jewish men in Egypt were put in camps, where they were held for over two years; they were the last to leave. Over the years — mostly because of relatives already in the Bay Area — many of the Egyptian Karaite Jews wound up here. In 1994, the Bay Area Karaite community bought the Daly City building from an existing Congregation B’nai Israel that was closing. The Karaite congregation adopted the name B’nai Israel because it was already painted on the side of the building. It is a small, closely knit community, drawn together by members’ Egyptian origins as well as their Karaite practice. Like many other small Jewish communities, they are concerned about the future. Who will induct their children and other Jews interested in Karaism into Karaite traditions? 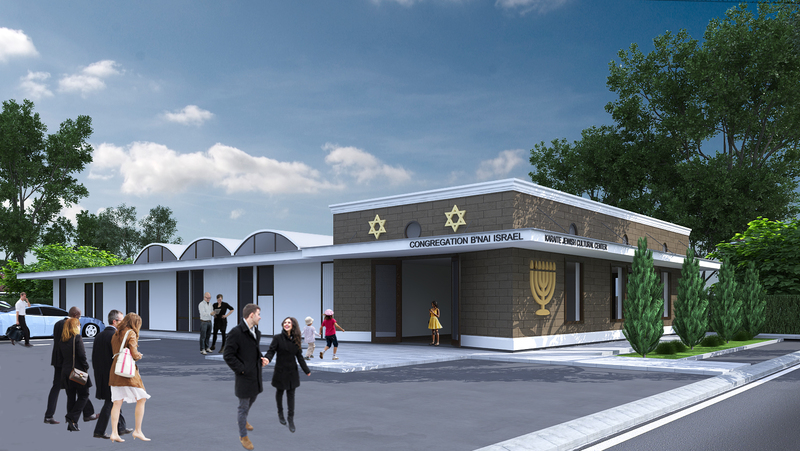 To ensure that future, the congregation has embarked on a relatively small construction project that will have a large and visible impact on their community: They are renovating their existing 3,500-square-foot prefab building and creating a 1,000-square-foot Karaite Jewish Cultural Center, attached to the synagogue, which will serve as a combination education program, museum and social center. There is a Karaite Heritage Center in Israel, but this will be the only similar institution in the diaspora. For a community this small, a lot is riding on the project. 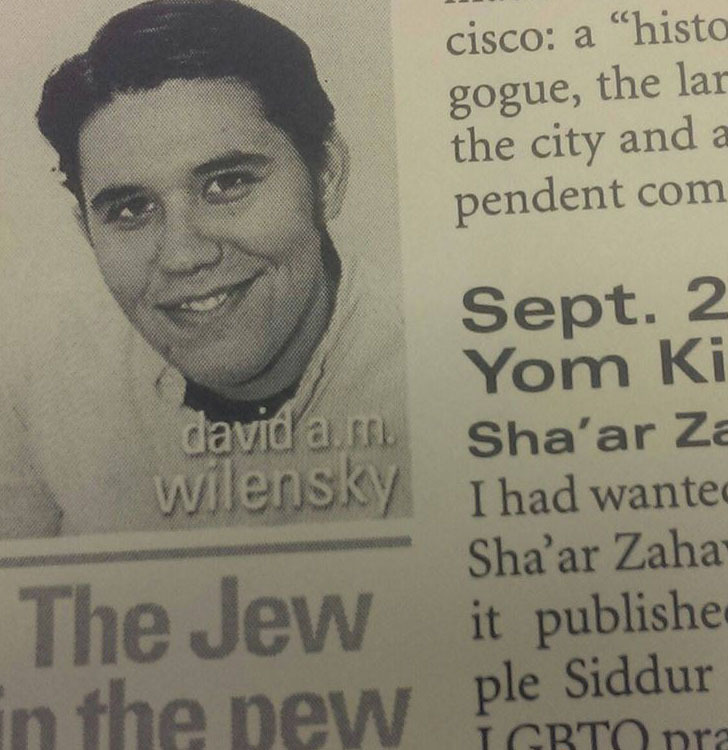 “If this current generation of Karaite Jews in the United States fails, it’ll be very difficult to kick-start the movement in any organized fashion,” said Shawn Lichaa, a pillar of the local Karaite community. The cultural center would have been no more than a dream were it not for the fortuitous union of David Ovadia and Maryellen Himell-Ovadia. The couple met when both were 60 — a stroke of luck for them, and for the Karaite community. David is a Karaite Jew by heritage and a structural engineer by training; having done engineering work on nuclear power plants in the past, he is somewhat overqualified for this project, whose design he has spearheaded. Maryellen is a former member of San Francisco’s Congregation Emanu-El and a master fundraiser. Her career culminated in a top development position at U.C. Berkeley, making the relatively measly $1.2 million needed for the Karaite cultural center a cinch for her to raise. David came to the Bay Area from Egypt at age 13 in 1963. “During that time a lot of my other uncles and everybody else was feeling the pressure and everything that was going on in Egypt,” he said. He is a quiet, reserved man, but his passion about the renovation and the new cultural center shines through. He delights in talking about minute plumbing details, zoning hoops he’s had to jump through and other nuts and bolts of the project. Maryellen sees herself as part of a bridge between the Karaite and mainstream Jewish communities of the Bay Area — a bridge that she hopes will grow. “This is not just about improving or facilitating things within the Karaite community, but to build bridges to the larger world and to make this a welcoming place for others who want to come and learn about this unique culture within the branches of the Jewish family tree,” she said. With groundbreaking set for the end of this month, the B’nai Israel community has already raised $1.1 million of its $1.2 million goal. The cultural center campaign is an approved grantee of the S.F.-based Jewish Community Federation’s donor-advised funds, though that only accounts for a small percentage of the money raised so far. In about six weeks, the congregation will move out of its building and be hosted by other congregations until the High Holy Days, when they expect to be back home again. While David and Maryellen get the money and the facility in order, Lichaa is thinking about what will go on inside the new cultural center. There is no greater exponent of Karaite Judaism in America today. His long-running blog, A Blue Thread: A Jewish Blog with a Thread of Karaite Throughout, is a deep dive into the history, ideas and practices of Karaite Judaism. Lichaa, 37, is also the creator of the Karaite Press. Launched in February 2016 with the publication of a 12th-century Karaite commentary on the Book of Esther, the goal of the Karaite Press is to make great historical Karaite writings — many of them written in Arabic and until now locked up in manuscript form — available to the global Karaite community and the public at large. Born in San Francisco to Karaite parents from Cairo, he grew up in Foster City, where he attended Hebrew school at Peninsula Sinai Congregation. It’s not unusual for Karaite Jews in America to send their kids to Rabbanite synagogues for a Jewish education and bar/bat mitzvah, while supplementing that with home instruction in Karaite traditions. In Cairo, members of the Karaite community lived close together, but, said Lichaa, “When we came to the U.S. we didn’t have proximity, a central place where a critical mass lived where we could do education with our own teachers. The easiest thing to do was join local synagogues.” In fact, that is the only option for Karaites in the rest of the United States. Today, the Daly City congregation offers some education programs, but none specifically for kids. “We do train them in prayers, one-on-one. I do some of that,” Lichaa said. A recent bar mitzvah at B’nai Israel was major affair, drawing a crowd of 150 to the small sanctuary. The new center will offer a range of programs, “everything from cooking classes, history classes, to arts,” he said. “I see a Tuesday night open house where we’re open to the community. People can drop by, there will be food and beverages. And maybe Thursday nights we’ll have a specific learning opportunity.” He is working to make sure all of the classes will be live-streamed, making the learning available to a wide audience. The center also will include a rotating exhibit of Karaite Torah scrolls, art, manuscripts and the like. Some Jews born into mainstream Judaism do choose Karaite practice. No conversion is necessary in such cases; it is somewhat analogous to a Jew from an Orthodox family choosing to associate with a Reform synagogue, simply choosing a different stream of Judaism. The new center will make it easier for young Jews from Karaite families to make the same choice. “For [Reuven] and others like him — there are many young kids in our community — that they have a place they can learn about their heritage if they, too, make the active decision to choose Karaite Judaism, this center will be there to support them in that,” Lichaa said. David, Maryellen, Lichaa and other members of the local Karaite community are looking forward to the completion of the center with great anticipation. They have given their money, time and moral support to the project. And every bit of that is being put to use. “We have to maximize every square inch of space, every dollar,” Maryellen said. Indeed, the property is small, and half of it is taken up by a parking lot; the cultural center extension will bring the facility right up to the sidewalk. Sitting at B’nai Israel, talking with the regulars, there is a sense of vibrancy and excitement. The mood is that of people awaiting the impending arrival of something truly awe-inspiring. And who can blame them? They are embarking on an exciting new venture that will have a lasting impact on the future of their community and its heritage. “I’m hopeful now that there’ll be a future for Karaite Judaism in the United States,” Lichaa said. For more information on Congregation B’nai Israel and Karaite Jews in America, visit karaites.org.